Ramdevra Maharaja Ganga Singh in 1931 to pay homage to Baba Ramdevji. Legend has it that, he took samadhi here at the age of 33, in the year 1442 and lived his entire life working for the upliftment of the downtrodden. Some regard him as an incarnation of Lord Krishna, while Muslims respect him as Ramshah Pir. People belonging to different castes and religions visit this temple year-round. Baba Ramdevji is a folk-deity of Rajasthan in India. He was a saint of the fourteenth century who devoted his life to the upliftment of the downtrodden. Ramdevji was a Tanwar Rajput. While Hindus regard him as an incarnation of Lord Krishna, Muslims venerate him as Ramshah Pir. A fair is organised twice a year at the temple in remembrance of the renowned saint. There is a water tank called Ramsarovar behind the temple, which is considered sacred. It is believed that a dip in the holy water of this tank purifies the soul. We have best Car Rental, Cab Hire & Taxi Service facility which has all kind of taxies at best price. Shri Randevji is believed to have been incarnated on earth for the welfare of humanity and was born in the houses of Ajmalji in the Tomar Rajput family. He had some innate divine powers. Since childhood, he performed many miracles and won the hearts of the people. He is also believed to have killed a demon called Bhairav. Ramdevji chose Ramadevra as the place where he attained a Samadhj and went into a divine state of meditation. Nevertheless, many people claim to have seen him on horse-back. The present cenotaph was constructed by Maharaja Shri Ganga Singhji of Bikaner at Shri Ramdevra Runecha. Fairs are held here twice a year when people flock to the temple and chant the glory of Ramsa Pir, so that their prayers may be answered. Many cultural events are also organized during this fair. Mainly two principal fairs are held in honor of the great sage. The first fair is held in the month of January and February and the second fair is held in the month of August and September. Thousands of devotes visit Ramdev Shri Ramdev Temple. People have great belief and faith in the temple. Entry to the tomb has been allowed to all irrespective of caste and religion. Devotees offer sweets, coconuts, makhanas, misri and cloth made horse-image on the tomb. Inside Shri Ramdev Temple complex in Ramdev there is a water tank also. A dip in that is considered to have a curative effect on skin diseases. Some followers come from great distances on foot, while some creep on their belly to reach the temple. 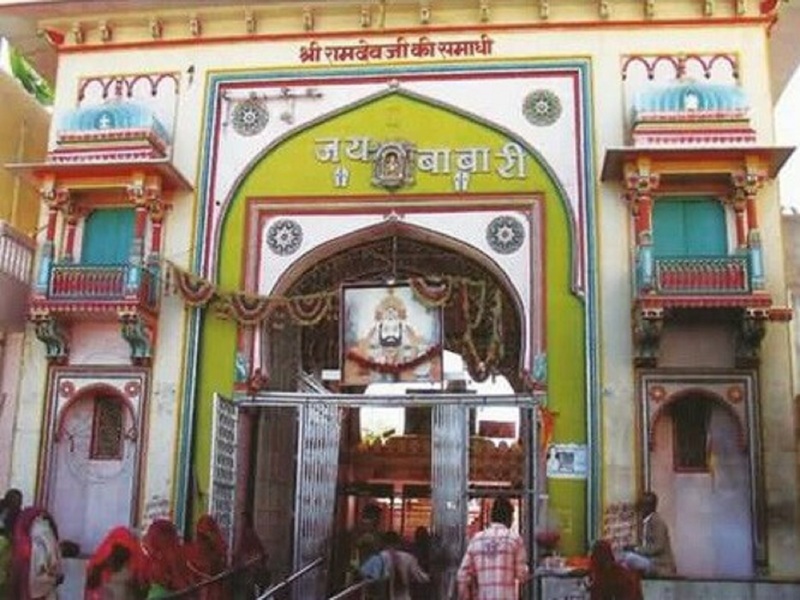 Bus service and various private vehicles from major cities of Rajasthan will take you to Shri Ramdev Temple in Ramdev. To visit this beautiful Jodhpur to Ramdevra Tour book us for best service.